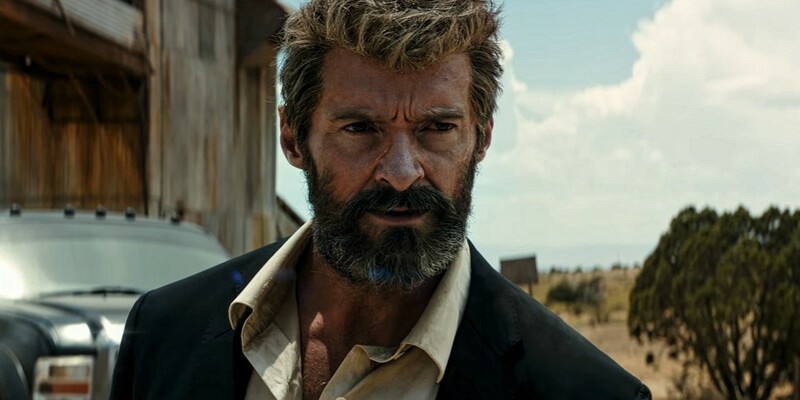 Wolverine in the Logan movie is getting old and his healing factor is failing, but with his full grown beard and multiple scars he has an unparalleled style. His new appearance is so cool, you might want to dress like Logan interpreted by Hugh Jackman and this is why we prepared this full guide. 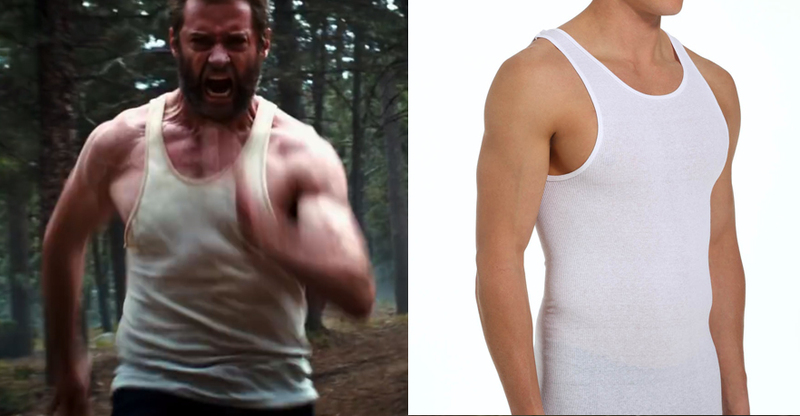 The tank tops that Hugh Jackman wears in Logan for his Wolverine role have some space at the pectoral muscles but not too much, the "sleeves" are close to the neck and they are pretty long. The tank tops are Fruit of the Loom Athletic Shirts. We recommend you take one size over yours or try to stretch it a bit so it looks just like in the movie. 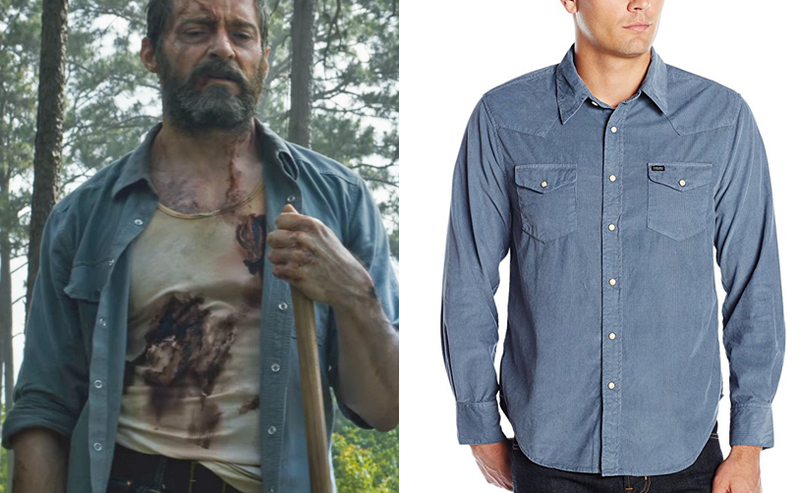 The shirt that Hugh Jackman wears in Logan for his Wolverine role is light blue, has two frontal pockets, a spread collar and snap-up buttons. It is extremely similar to the True Grit Jackson Cord shirt. Wear it open and roll up your sleeves to mid-arm. 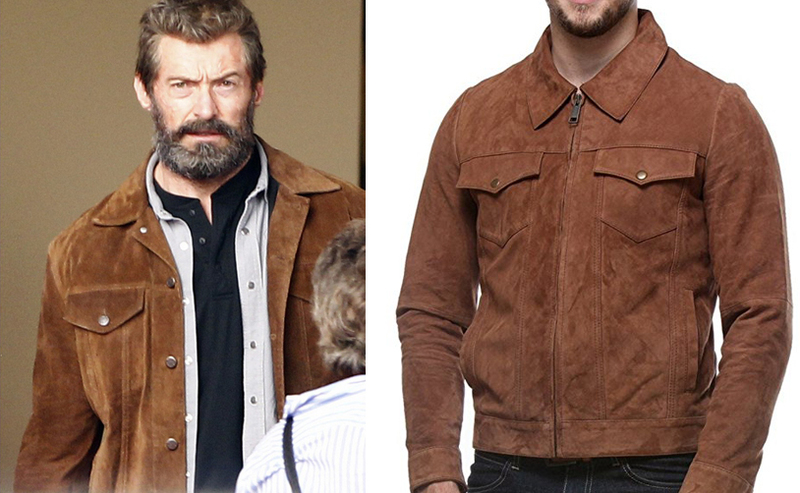 The brown jacket that Hugh Jackman wears in Logan for his Wolverine role is in suede leather with two frontal pockets, a spread collar and classic buttons. The True Grit Jackson Cord shirt is a close match that happens to be very well made. 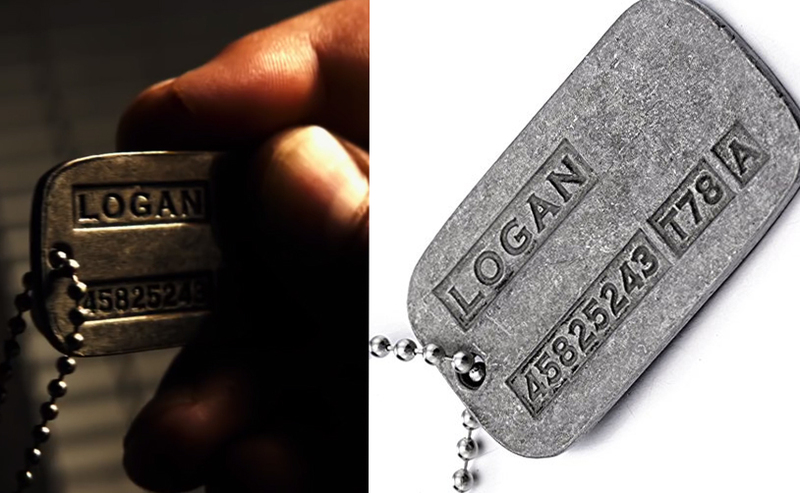 These dog tags are replicas from the Logan movie, made with high quality metal alloy. Dog tags are the kind of small details that make the whole costume credible so don't forget to get those ! Wolverine's lethal weapon replica for the non-mutant human being made out of stainless steel. Those are classic men fashion items you probably already have, but if you don't then better late than never ! 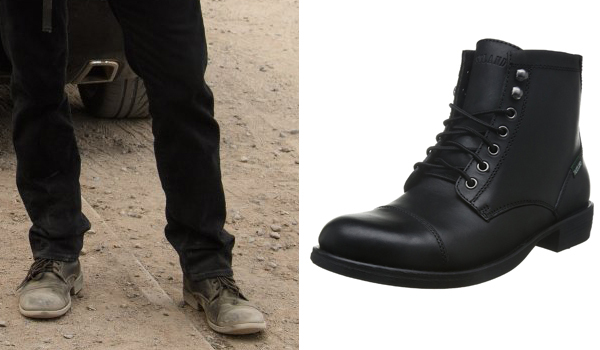 It looks like Logan wears Eastland High Fidelity Boots with a 514 Levis jean. Get yourself a cheap white shirt and go play soccer on a sand field or tennis on a clay court for a few hours to quickly get the same worn effect. Then put on a regular fit suit. If you don't have one, we recommend this one, which is pretty good for the price ! In the beginning of the film, when he is on the car in the phone negotiating the sunseeker on the border cross. I don believe its the rayban you mention.. its like a square aviator.. Thanks for the picture, it seems like they are Randolph Intruders with black matte frame and tan lenses, can you confirm the color of the lenses is correct ? The boots you show aren’t the ones he wears in the film. Do you know (Or can you find out) the exact make and model of the boots he wears? You made a mistake in the jacket section. Also, could you do something on the shirts he has underneath the jacket?